An ethnic unique craftmanship of 22kt meena gold kada. 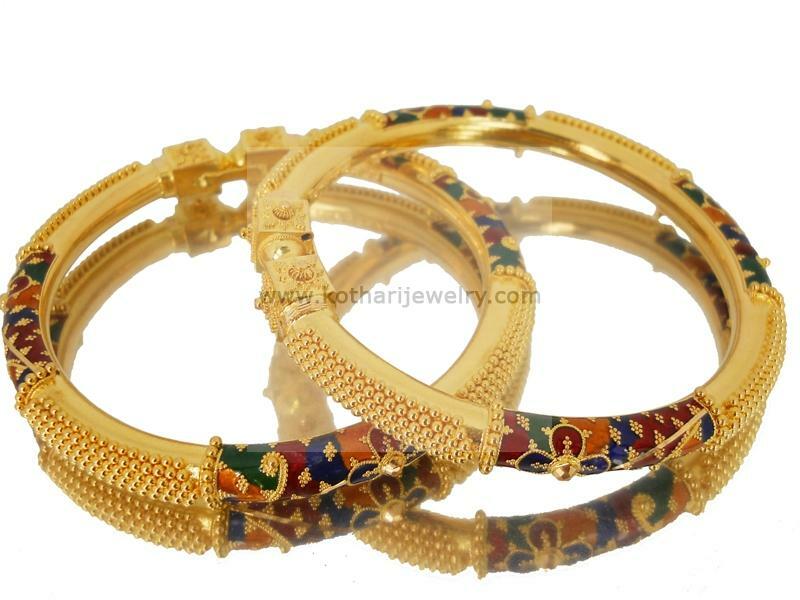 This 22kt gold kada consists of a hollow pipe over which the delicate work of gold and meena( enamel ) is done. This gold kada is 916 BIS hallmarked. The weight is for a bangle size of 2.5 aana.